Surasak is recognised by The Legal 500 Asia Pacific as a Leading Individual for Corporate and M&A and a Band 1 lawyer for Dispute Resolution by Chambers Asia Pacific, naming him as one who “wins plaudits from the market” and with clients describing him as “one of the best” based on his “reputation on complex matters.” A large part of Surasak’s practice focuses on representation in litigation and dispute resolution proceeding, including arbitrations, mediations and other alternative dispute resolution proceedings. Surasak is also consistently recognised as one of the leading lawyers in Thailand for Restructuring & Insolvency. 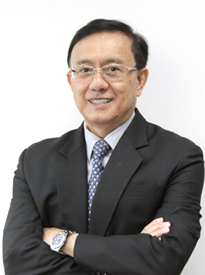 With more than 31 years of work in the private and public sectors, Surasak has extensive experience in corporate and financing transactions, including privatisations, securities transactions (public issues of debt and equity), loan facilities, project finance, restructuring and bankruptcy-related work. He represents some of Thailand’s state enterprise banks and other financial institutions and a number of publicly-traded companies. Additionally, he has been involved in some of Thailand’s most important infrastructure projects including, expressways, railways, tollways, waterworks and telecommunications projects. He also represents several multinational clients in complex Thai regulatory matters, particularly those involving customs and anti-corruption proceedings. Surasak served for eight years as a judge of the Courts of Thailand. Advised a major Thai bank on: (1) THB 20 billion financing of GE Capital Auto Lease Public Company Limited; and (2) THB 12.5 billion financing of Bangchak Petroleum PCL. Advised a syndicate of Thai banks in the provision of finance to Thai Petroleum Pipeline Company Limited. Advised Thai financial institutions in connection with: (1) the financing of the Pathum Thani water project; (2) the financing for the construction of tollways by Don Muang Tollway Public Company Limited; (3) the financing of the Rayong power plant; and (4) the financing of the Kanom power plant. Acted as Thai special counsel to an investment unit of the World Bank in connection with the financing of the Bangkok Mass Transit System. Acted as the bond issuer’s legal counsel on the issuance of Baht 7bn senior unsecured bonds issued by Don Muang Tollway PCL. Advised Cedar Holdings Limited and Aspen Holdings Limited, in relation to the acquisition of major stakes in Shin Corporation Plc., the 1st largest Telecom company in Thailand, including advising on a mandatory tender offer of Shin Corporation Plc, a voluntary tender offer of shares in Advanced Info Service Plc, and Chain Principle Rule for iTV, SATTEL and CSL under Thai SEC in early 2006. Advised a European telecommunications company on the structuring and acquisition of major stakes in a major telecommunications company in Thailand, including advising on the mandatory tender offers. Advised an investment unit of the World Bank on the reorganization proceedings of Thai Petrochemical Industry PCL. Advised certain creditors in connection with the reorganization of Bangkok Mass Transit Public Company Limited, an operator of a rail-based mass transit system in Bangkok. Advised certain creditors in connection with the reorganization of TT&T Public Company Limited, a major telecommunications company in Thailand. Represented a state-owned financial institution as seller in the THB 8.2 billion sale of its non-performing loan ("NPL") portfolio to Sukhumvit Asset Management. Advised the lenders on the debt restructuring of Don Muang Tollway PCL. Advised the lenders on the debt restructuring of Thai Wah PCL. Advised the lenders on the debt restructuring of STA Group (1993) PCL, STA Particle Product Company Limited, STA MDF Company Limited, STA Furniture Group Company Limited, and STA Para Plywood Company Limited. Advised a Thai bank on the debt restructuring of Narong Canning Company Limited and ISA Company Limited. Advised the lenders on the debt restructuring of Unicord PCL. Representing a U.S. tobacco company with regulatory compliance in its business operations. Representing a NYSE listed alcoholic beverages company with regulatory compliance in its business operations. Representing various local and multinational corporations on telecommunications issues under Thai law. Acted as legal counsel to the regulatory agency in relation to the preparation of the Request for Proposal for the 2013 IPP bid solicitation. Acted as legal counsel to a government department in connection with the proposed revisions of relevant laws and regulations to allow for the public-private partnership for public infrastructures in Thailand. Acted as Thai counsel in an arbitration related to a contract dispute between a major Thai shareholder of a Thai listed company and a German construction company in Singapore. Acted as Thai counsel to a Thai listed company in respect of a dispute in an arbitration proceeding filed against it by a European construction consortium involving deferred payment facility debt and other related debt under construction contracts. Acted as Thai counsel for a Japanese tobacco company in connection with a dispute relating to a distributorship agreement. Acted as Chairman of a three member arbitral tribunal in an arbitration between a Thai government agency and a construction consortium. Acted as Thai law expert for an Austrian conglomerate in connection with an arbitration proceeding with a Thai government agency. Member, Law Reform Committee of the Judicial Council in relation to law relating to partnership, company and business unit. Member, Sub-Committee of the Electronic Transactions Commission studying a new law relating to electronic transactions.